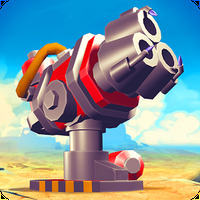 The Sandbox: Craft Play Share Android - Free Download The Sandbox: Craft Play Share App - PIXOWL INC.
"This is your chance to create your own universe"
Game Goal: In The Sandbox you can create your own world and play with humans or zombies, compose your own music and more. The universe is yours and you are the one who decides what to create. How to play: Start by building blocks of stone, water and earth. Grow plants, build walls, gives life and have access to advanced elements for making tools. Game Options: Modes: Frantic and Sentinel. Graphics: The game is totally pixelated, but this doesn't affect your objective. Content Classification: Free for all ages. It is a challenge for those who enjoy puzzles and strategies. Argument: Support Conner and the Resistance in the fight against invading robots through 10 exciting levels in a new campaign. Save or exterminate the human race - the choice is yours. 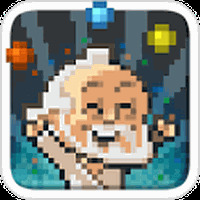 Developer: PIXOWL INC.	- TOP Developer: Reputable developer. Installation requirements: A minimum of 75M of free memory space and Android 2.3.3 or higher. 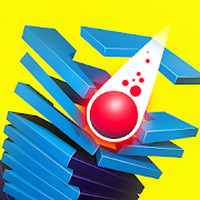 Ranking: The TOP 5 Most downloaded games in Puzzle Games category. Over a hundred elements combine to achieve different physical effects. 10 massive campaigns with 146 game levels in total. You can create a universe and share it in the online gallery. Unlimited freedom to create and destroy. Contains items that must be purchased with real money. Doesn't work in the simplest devices. Do you like The Sandbox: Craft Play Share?